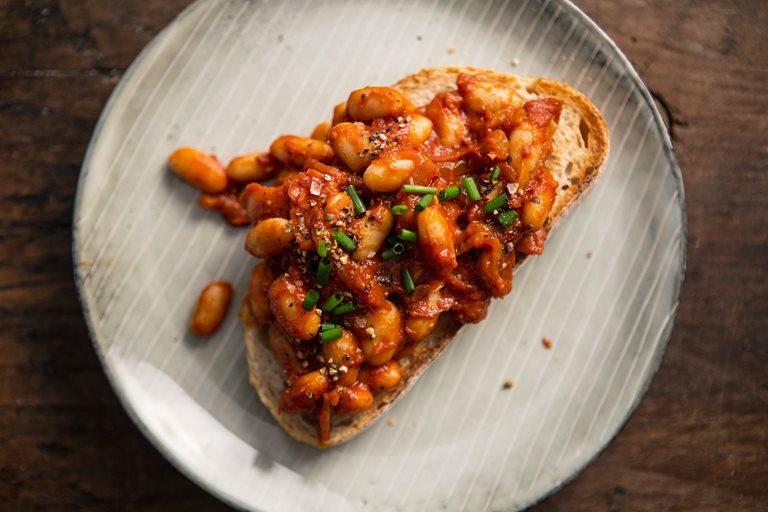 Tinned baked beans are a staple in most British kitchens, but they're very easy to make yourself. While many gourmet versions have added bacon or dairy, Becca's on hand to provide a tasty vegan version of the classic breakfast dish. The meal I've been having the most difficulty with during Vegan January is definitely breakfast. Dinners are pretty easy, and I've been perfectly happy with bread, salads etc. for lunch. Breakfast is where I get stuck. To be honest I'm not usually very inventive with breakfast at the best of times - my usual non-vegan go-to is cereal with milk, but since I've not been entirely convinced by any of the vegan milks I've tried so far, that's out. Toast and peanut butter is good, but not really something I want every day. And that's about as ambitious as I usually get for breakfast. After trying my hardest to get my creative juices flowing, I've finally started coming up with some more interesting vegan breakfast ideas. One of my favourite breakfasts that I've made this month has been these homemade vegetarian baked beans. We all know that tinned baked beans are a staple in most British kitchens, but I do prefer to make things myself so that I know exactly what I've put in them. 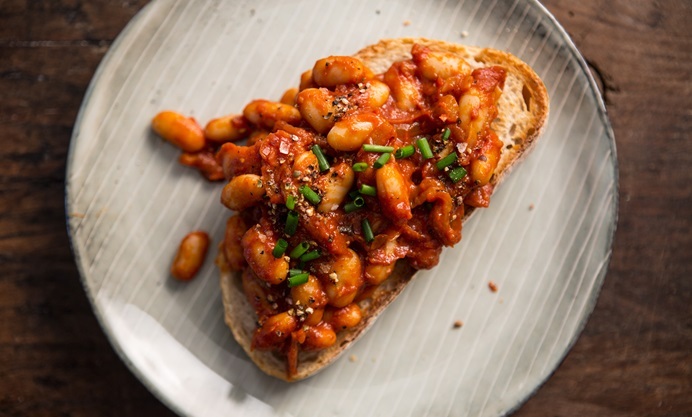 This homemade version is made with cannellini beans smothered in a thick, rich tomato sauce (though if you prefer your baked beans to be more saucy, you could easily add a dash of water or stock to thin them out a bit). I added a little sugar and soy sauce to make these beans both sweet and salty, and there's also a touch of smokiness from the paprika. It's a great combination of flavours. These were great on toast as a quick and easy breakfast, but of course you could use them in other ways too if you've not got much time in the mornings - I bet kids would love these alongside some sausages and chips!